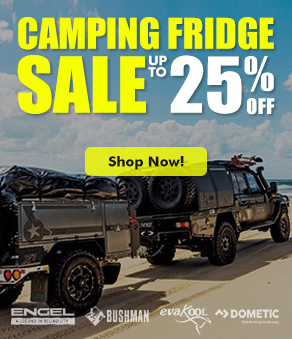 In order to camp remotely, taking in the best of the great outdoors, you need to be able to power your lights, fridge and other essential equipment. This involves being able to generate your own power supply. There are several options available to campers, including a solar set up and portable generator, with each involving the use of batteries to store power. Here, we look at the convenience of a portable generator. Portable generators produce 240v power supply by connecting an alternator to a petrol or diesel engine. 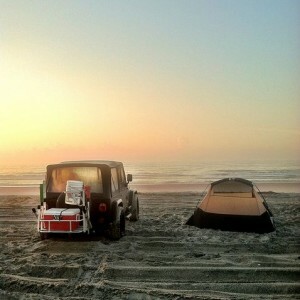 The best choice for recreational applications like camping are Inverter Generators. Sine Wave Inverters regulate the output so as to produce power that is identical to mains power in voltage and frequency. This means that a Sine Wave Inverter Generator can not only power your deep-cycle battery, but can also be used to provide power to 240V domestic appliances, including sensitive equipment such as laptops and mobile phones. The Inverter control system maintains an extremely high accuracy level of voltage and frequency fluctuations with very low wave distortion. This system also allows for the engine speed to be automatically adjusted in direct proportion to the load applied maximizing fuel efficiency, while maintaining 240V supply. Inverter Generators are ideally intended for small Domestic appliances and Recreational use. Not having enough power is a common mistake people make when Selecting a Generator. To avoid this you need to determine the amount of power required to not only run the appliances you wish to use, but also the power required to start them. For many appliances, the starting output requirement can be up to three to four times (or more) greater than the continuous running power needed. It’s important you know the wattage requirements of the appliances you intend to run off the Portable Generator. Make a list of all the appliances you intend to run off the generator at any one time. Determine how much power is required to start each appliance. It’s the starting power that’s important, not the running power (you can usually find this in the product manual or on the product data plate). Decide which appliances you will be running at the same time. Add up all the ‘Running Watts’ amounts for these. Once you’ve got an amount, determine which one of your appliances has the highest ‘Starting Power’. Add that amount to the total. If you don’t have a Generator with the right amount of power, you won’t be able to start or run those appliances when you need them most. If you need more help determining how much power you need, check out our simple step by step guide here: My Generator Buyers Guide. Take some time and do the calculations so you know what Power Generator you need. If you can’t find the user manual for you appliance, you should be able to find out the information online. In our experience, for general camper trailer use an Inverter Generator of 1000w to 2000w output seems to be a good fit. Especially when its primary use is for charging your battery packs, in which case the most popular unit by far is the Yamaha EF1000iS Generator – lightest, quietest and most fuel efficient 1000w generator on the market. Yamaha EF2000iS Generator: loved for its lightweight design, this model is quieter, lighter and more fuel efficient than it’s Honda counterpart (the Honda EU20i). Our best selling camping generator. Yamaha Twin Tech capability allows two of these models to be connected and almost double the power output. Popular for battery charging also, whilst giving you some more power for other appliances/equipment if needed such as fridges etc. Yamaha EF2400iS Generator: very popular for running Caravan Air-Con units. Recently rated the best portable generator by Caravan & Motorhome on Tour Magazine! Not surprising given its fuel efficiency and quiet operation. Often used for other portable power needs such as home backup during blackouts, this model also allows parallel connection capability. Briggs & Stratton P3000i: It is hard not to give the Briggs & Stratton P3000i a second look when searching for a powerful and affordable inverter generator. With 3000w under the hood, it is more than powerful enough to run all your caravan equipment. Covered by a 3 year manufacturers warranty and a network of national service centres, you can rest easy knowing that should something go wrong, Briggs & Stratton have got you covered. Cromtech Outback 2400: for those needing power for less budget, this model produces an imposing 2400watts at peak and is super quiet. A good value for money option for those who only need a generator for occasional use. Not designed for intensive use but, while it doesn’t come with a long warranty, it still has the national Service Support network that the premium brands have – this a great feature that many budget brands don’t offer. Crommelins Machinery backs this generator with its national service support network. Campers should be made aware that there are some camping locations where generators are not permitted. Historically this was in part due to the noise level. Thankfully, in recent years improvements in technology have led to improvements in acoustic design meaning lower noise levels. There have also been significant improvements to fuel efficiency along with lighter more compact designs. With the relatively high Australian Dollar has meant that it’s never been a better time to purchase a Portable Generator. As a final note, you might also find the following video below helpful when searching for a camping generator; here we look at the main differences between premium and cheap inverter generators. 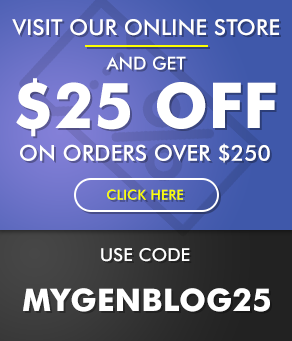 For more insightful information, we recommend you check out My Generator – Australia’s most comprehensive online generator retailer! This is a very nice article! I do believe that it is really important to choose the right generator for your home. Knowing first how much power you’ll need is the first thing you should consider then after you’ll decide what kind of generator you’ll get. I am planning to get an inverter to run my sensitive electrical equipment. Thanks for your comment. I’m glad you found the article helpful! An inverter generator is the best option to power sensitive electronics! You’re definitely on the right track! Thanks for the info. What about the 1000 watt yammy: will this charge my battery packs? G’Day Wayne – thanks for the question. The short answer is yes! – The Yamaha EF1000iS is an extremely popular unit for recharging battery packs on camping, 4×4 and fishing trips. Although it has DC outlets (like most other inverter generators), when charging your battery packs, it is advised you use a regulated battery charger…the DC power from inverter generators are not regulated and only designed for trickle or short term power such as giving your car battery a little kick. So, best you connect a battery charger to the generator when charging your deep cycle batteries, this will regulate the power properly. Cheers mate! Hi Sean, I am looking at the Yamaha 2000 generator and my brother is looking at the same one. I’ve been told you can connect 2 units together to get more power output if needed? Can you provide details on this? G’Day Nick – thanks for your question. Yes you can connect two of the Yamaha 2000 watt generators thanks to the Yamaha Twin Tech technology. The Parallel Kit is an optional extra and with it you can connect two of the Yamaha EF2000iS units to almost double the peak power output and provide 3000 watts of continuous power. Look for the kit under the Accessories list on the Yamaha EF2000iS product page. Hi Sean, can you advise what generator will start and run an air command Ibis airconditioner, have you sold any generators to people with this air con? Hi Matt – we are certainly aware of this brand and model of air-conditioner (in fact we sell them too – you can see HERE), and know that if you contact Air Command technical dept. they will advise a 2.8kVA sized inverter generator to run the latest Ibis Air Command model. At that size generator, we would recommend the Yamaha EF2800I Inverter Generator. We have also run the Ibis Air Command from the Yamaha EF2400iS Inverter Generator, which is the most popular caravan generator on the market. Thinking of generator inverter for occasional caravan trips – limited use for Engel fridge, computer or mobile phone and batteries. Interested in 1000-2000w size. Please advise availability, cost, shipping to Albany WA. What is the Recommended Price for a unit like this? What is the fuel consumption. Hi Nick, The Yamaha 2000w Inverter Generator is currently priced at $1,675 and comes a free bonus pack which includes a generator cover and security cable. The price and bonus pack offering fluctuates typically every few months, largely based on stock availability from the manufacturer. Fuel consumption for this unit is; 10.5 Hrs at 1/4 Load, 4.2 Hrs at Full Load. I hope that helps, thanks – Steve. 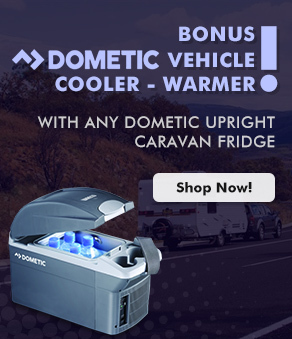 Hi, can you tell me if the Yamaha 2000w will run a dometic motorhome aircon? The Dometic specs recommend at least a 3500w but a lot of forums say the Yami 2000 does the job. I’d prefer it over the 2.4kW Yami for size. Can you clarify this please? Will the Yamaha EF 2400is run any Caravan Air-Conditioner? Hi Glen, we always advise that you find out what the peak power surge at start-up (in watts) that your particular Caravan Air-Con model will require. 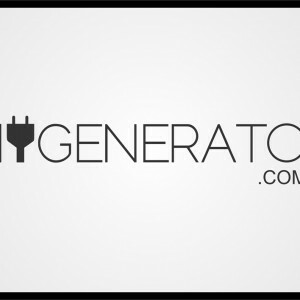 This enables you to correctly size what generator you need. Often the best way to do this is to contact the Air-Con manufacturer, speak to their technical department and ask what size generator they advise will run your model of Air-Con, based on it’s peak power surge. In terms of the Yamaha EF2400iS, from our testing and experience, it will run mostly all Caravan Air-Con models from the major brands on the market, noting that there are a couple of specific Caravan Air-Con models at the larger end that will test it, or even be too much for generators of this size, especially in hotter conditions. Note that some older Air-Con models are not very efficient and can draw quite a bit of power. 1) They have an especially large Caravan Air-Con unit that needs more power so they need a larger generator (or in some less common cases the opposite is true, whereby they have a smaller Air-Con unit and can get away with a 2000w generator). Again, these types of cases are not as common, but its always best to find the peak power surge draw of your specific Air-Con model. 2) Many people will just want to run their Caravan Air-Con from the generator and that’s it. However, some people will have a number of other Caravan appliances they want to run at the same time as their Air-Con, e.g. battery system charging, kitchen appliances, electronics etc. This is where you’ll need to know the power draw of those other appliances also. The Yamaha EF2400iS might be ok to run your Air-Con plus some other appliances at the same time, or it might not – it obviously depends on how much power the sum of all your particular pieces of equipment will draw. Lastly, its worth noting that in hotter environments, any generator’s power capacity will slightly reduce. Also, the longer the extension leads, the more the generator’s capacity will slightly reduce too. Just be weary of these additional influences on the power performance of a generator – so if you are going to be in particularly hot environments (above 30 degrees Celsius), or run long extension leads (longer than 4 metres) then factor in some additional power contingency when doing your generator sizing calculations. We often get calls from customers saying that their 2000w generator won’t run their Air-Con when it’s hot or when an extra extension lead is attached. Hi, Can you tell me if its ok to run a foxtell box and plasma tv from a 2000w Inverter Generator? The tv in question is a Samsung 50in rated at 350w. the foxtell box is 50w. 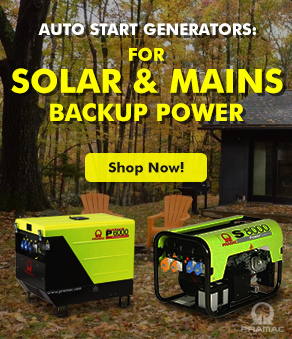 Hi, trying to select a generator for my camper. It has aircon and microwave. Aircon uses 950w cooling & 1200w heating. Microwave is about 1200w. I trialed a mates 3.7kva fuji inverter and it would not run the aircon so I never tried the microwave. Then I trialed another mates no name brand 2kva generator and it ran the aircon. I realize I need a generator around the 3.5kva to run both the aircon & microwave, my question is Why would the smaller generator run the aircon and the bigger one wouldn’t? Thanks! Hi Darren – all good questions! Firstly, the wattage numbers that you have stated look likely to be ‘rated/continuous’ power numbers, not what the appliances will draw at their peak surge when they start up. We know that caravan air con units and microwaves will surge to over 2000 watts when they first start up. Unfortunately that important peak wattage number you need is often not stated in the product manual and we find the best way to get the peak number is to contact the manufacturer of your appliance – for example, many of the popular caravan air-con brands like Air Command, Dometic, Coleman etc. have tested their range against leading generator brands to see what generator model(s) best suits their air con units. It would be advised that you do the same for your microwave if possible. Overall, we find that the best generator for caravan air conditioners is the Yamaha EF2400iS – it will run your air con unit and provides quiet operation with great fuel efficiency. For people that want slightly more power to run a few extra small appliances also, they may consider a Yamaha EF2800i. If you want to run your air-con AND microwave at the same time, then you might need something bigger. Again, you need to first find out the peak wattage numbers of your particular appliances first. Lastly, in relation to your question about the smaller generator running the air con vs. the larger generator not; it mostly comes down to the capacitor. As a rule of thumb, the premium brands (like Yamaha) have good capacitors that can handle higher load demands for longer periods, whereas many (but not all) of the budget (no name) generators are not so strong in this area. Other reasons include what level the overload circuit breaker is set at for certain types of generators and of course the propensity for some no name brands to overstate the capability of their generator models. I have an Air Command Ibis air conditioner in my caravan. Will a Yamaha 2400 start it? Hi Ken – The short answer is yes; the Yamaha EF2400iS is the most popular generator model for running Caravan A/C units. Ideally you would know the starting and running wattage for your particular air conditioner model to be sure you are choosing the most appropriate sized generator. We find the best way to get this wattage information is to contact the manufacturer (in your case; Air Command). Their service dept. is very helpful and for most of their range of air conditioners they will likely advise around a 2.4kVA to 2.8kVA generator, with the main caveat being that external factors such as high temperatures (above 30°C) and long extension leads (over 3-4 metres) will slightly de-rate any generator’s power capacity. Also keep in mind that if you want to run other appliances at the same time (or simultaneously charge your battery system) then this extra power needs to be taken into consideration when sizing your generator also. We recommend that you do your sizing research/calculations for your air-con model (and any other appliances) then allow for a bit of extra power contingency up your sleeve if required. In summary, the Yamaha EF2400iS will run your Ibis Air Command air conditioner. For extra piece of mind and to discuss your particular model/situation to ensure you make the best choice, you can contact your air con manufacturer (Air Command) or feel free to give us a call also on 1300 400 122 to discuss more. Thanks! Every trailer is built to suit your needs so that you get exactly what you want without any of the extras you don’t need. This also give the new camper the chance to start using their Camper Trailer whilst they find out what works best for them. Hi Stan, with the appliances you have listed, the Yamaha EF1000iS would be a great camper option. It’s the lightest and quietest 1000w generator on the market. If you are looking for a bit more power, then the next size up is the Yamaha EF2000iS: also an extremely popular camping option, whilst also used for running a few small home appliances (e.g. fridge/freezer) during mains blackouts. 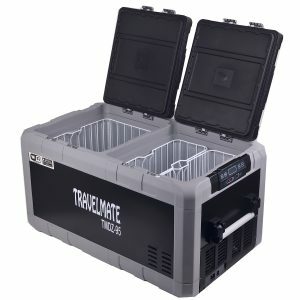 Looking to buy a generator to run small fridge in a caravan, plus lights. Would only be for very infrequent use.. Max a week at a time maybe twice a year. What is best size for this sort of use ? Hi Chris, I would recommend the Yamaha EF2000iS Inverter Generator – it is lightweight, quiet, has good run time and is very popular for running a handful of camping appliances like you have listed. With 2000 watts peak and 1600 watts running, this is a good sized generator for your type of application. Some campers will opt for the smaller 1000 watt model, particularly if they are just wanting to recharge camping batteries, however a 2000 watt model just gives you a bit more flexibility for extra power if required. The next sizes up, such as a 2400w, 2800w or 3000w model are usually for campers/caravan owners who want to run appliances that can draw more power such as air conditioners, microwaves, kettles etc. Is there a portable diesel inverter generator on the market? Probably one which uses the fuel from my motorhome disel tank? It would be great to have only ONE type of fuel to look after. The only model we have available is the Fischer Panda Diesel Inverter. They are extremely well built with German Engineering. You can view the Fischer Panda range here. These are a premium built in silenced inverter generator. The link will take you to both the vehicle and marine versions. In terms of built in silenced generators for a Caravan, RV or Motor Home you can’t go past the Dometic TEC 29 Built-In 2900w Inverter Generator . This is a petrol model and you can purchase a fuel tank especially for it. 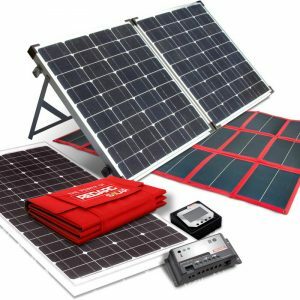 Camping Power: Solar Panels vs Solar Blankets?